Boil the sprouts in salted water for ten minutes. Drain. Meanwhile, heat the sour cream in a small saucepan over low heat. Mince the leaves from the rosemary and add them to the sour cream along with the lemon juice. Stir and season to taste with salt and pepper. Serve over the sprouts. Inspired by "Sprout Tops with Cream, Lemon and Rosemary" in Rose Prince, The New English Kitchen (London: Fourth Estate, 2005), 341. 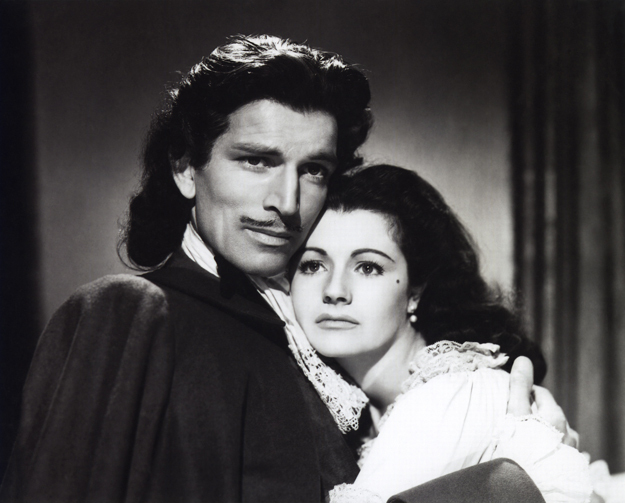 The film version, The Wicked Lady (1945), is quite a bit different from the book, but the changes actually do work pretty well. To my knowledge there's never been a U.S. video release of the movie (on VHS or DVD), but I didn't have too much trouble finding it on--ahem--YouTube. 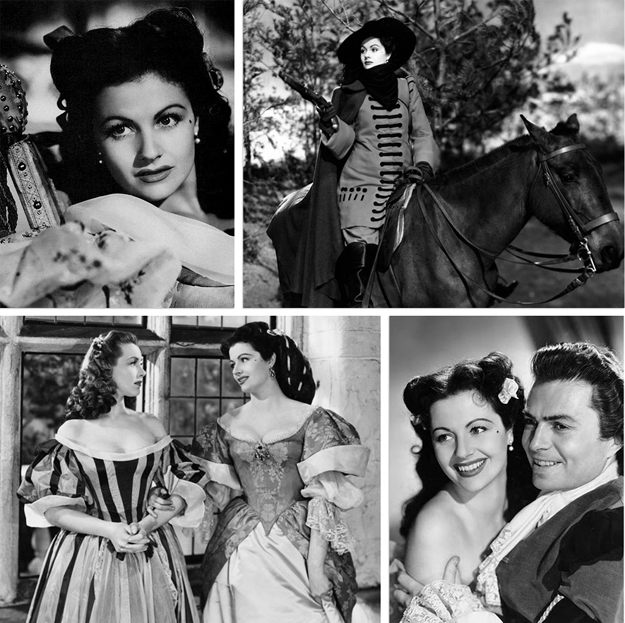 If you're lucky enough to have a region-free DVD player, there are three region 2 releases (one is part of the Margaret Lockwood collection and another is part of a Rank 70th Anniversary collection). I keep telling Paul I need a region-free DVD player. How else am I supposed to get to see The Man in Grey? Doesn't it look ridiculous yet awesome? Go check out this 1980 interview with Margaret Lockwood--she's a hoot. There's quite a bit about The Wicked Lady. I love Brussels sprouts, but I've always just cooked them in butter. This sounds oh so delicious-- I'm just going to have to try it! I love Brussels sprouts, too. I'm always looking for new ways to fix vegetables. Hmmm...I love brussels sprouts and I love rosemary. This looks interesting! I am intrigued by this recipe, I must say! Oh, finally watched "Black Narcissus" this weekend--have you ever seen it? I haven't seen it yet but I think it's on Netflix, so I'll check it out (hopefully) this week. Lauren, you DO need a region free DVD because when I eventually get around to sending your Bette Davis' Marmalade, I'm going to send you some Diana Dors films too - Region 2! Love the look of your sprouts. The only Paulette Goddard recipe I have is for "creamed sprouts" and they were yummy. I agree with Hannah - bring on your book! I'll figure something out. I'm awfully excited about the Diana Dors movies (and the marmalade). Thank you! The book sounds intriguing and the rosemary cream and sprouts look delicious. 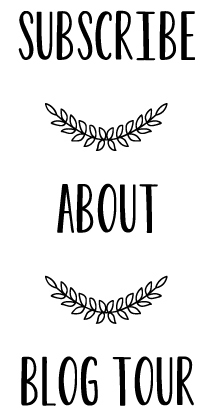 I love learning about movies and recipes from the past on your blog! Have a great weekend. What a great permise for a story! 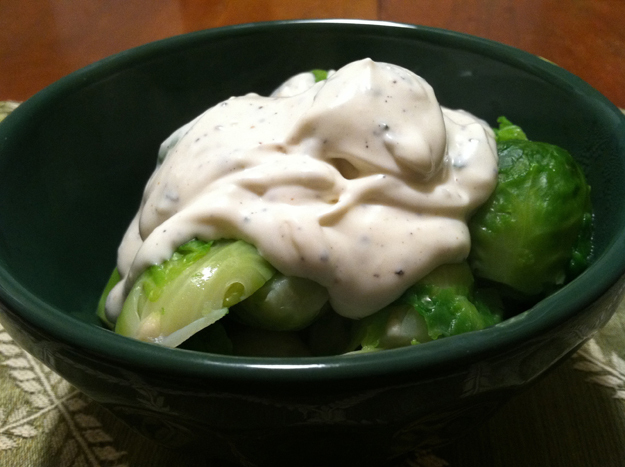 I love brussel sprouts but that cream is over ths top delicious. Must. Make. Now! The rosemary cream looks dee-licious. I l iek the sound of the recycle book centre. My mother in law has informed me that there is a place near where she lives that has opened up doing the same thing. She's been going there for a few months now and has read a number of books. When I visit her, I may get to check it out. I love books, so free books are even better! Everyone should buy a multi region DVD player. You can get one on Ebay for $50 these days (not the small fortune I had originally spent years back!) The Wicked Lady is in my top five fave films of all time. Thanks for promoting it! Avoid at all costs the Faye Dunaway remake though. I wish they'd given Michael Rennie's part to Stewart Granger though. Patricia Roc is so lovely in that film. And she had a hot affair with Ronald Reagan !